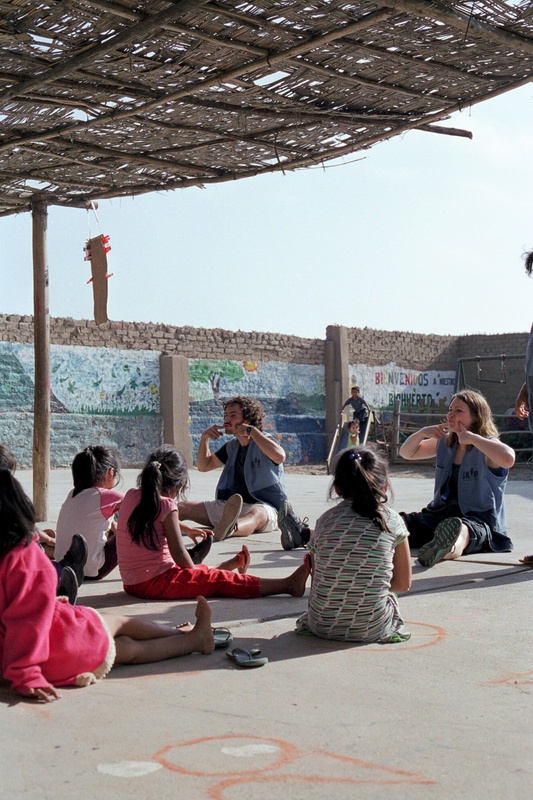 TWOWEEKS has recently started working with the charity SKIP in Trujillo, Peru so a team of TWOWEEKS volunteers went on a scouting trip to see how the two charities might work together in the future. 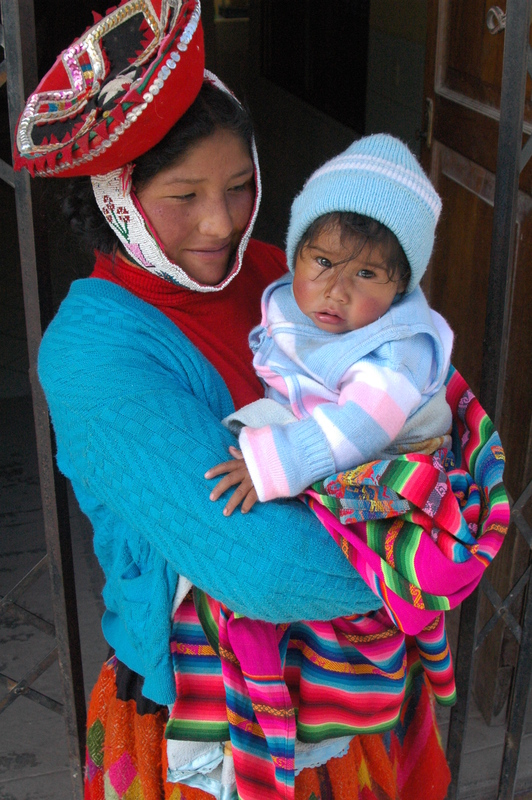 Our Peru journey began back in November 2009 when a volunteer, Patricia Lipska, came out to South Africa and did stellar work as a social worker. She travelled to South America in 2010 and worked with a project called SKIP in Peru. She spread the word about TWOWEEKS, they were interested in us and got in contact and from here our story began. 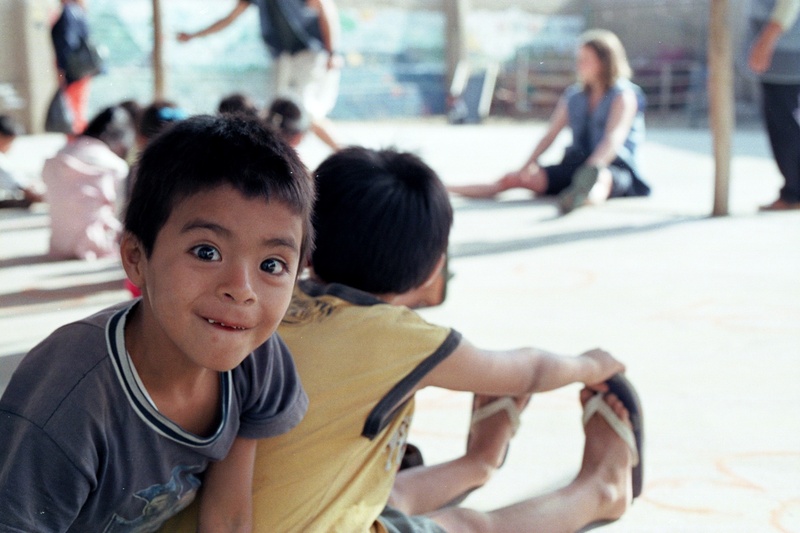 SKIP is a non profit organisation that works in one of the poorest areas in Trujillo called El Povenir. 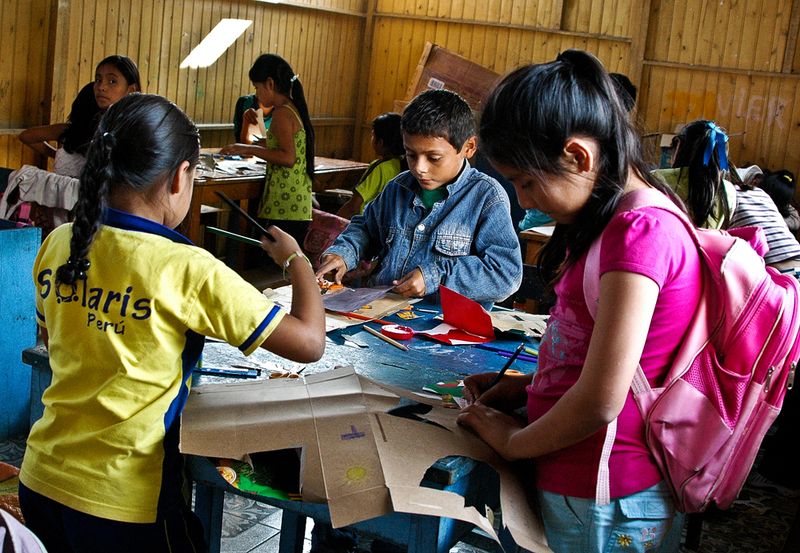 Education services in Peru are not free and as a result the poorest families and communities cannot afford to send their children to school. This has an obvious effect on the future of a child and long term social problems result. SKIP act to bring about positive changes in the lives of disadvantaged children and their families through providing education and helping families to find ways to improve their economic situation, which in turn can enable them to afford the cost of their children’s education. 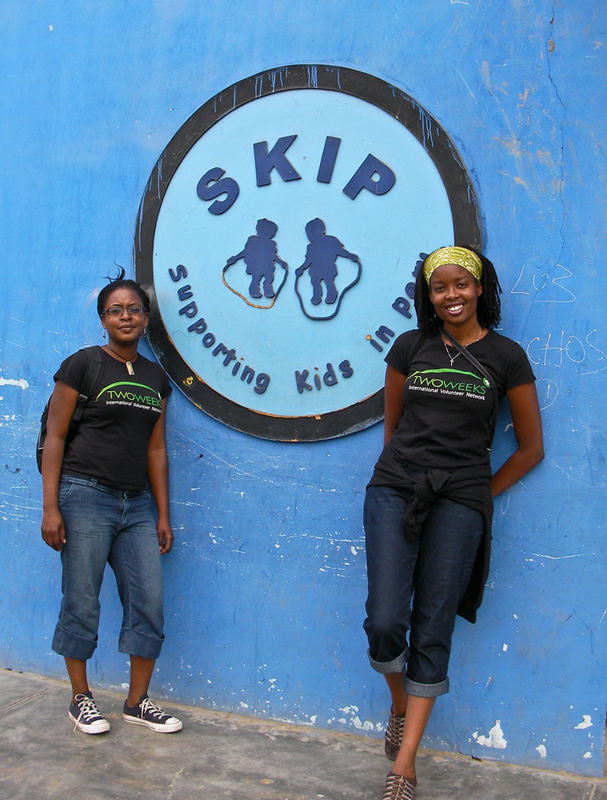 SKIP also support the schools in which the children from the SKIP programme attend. 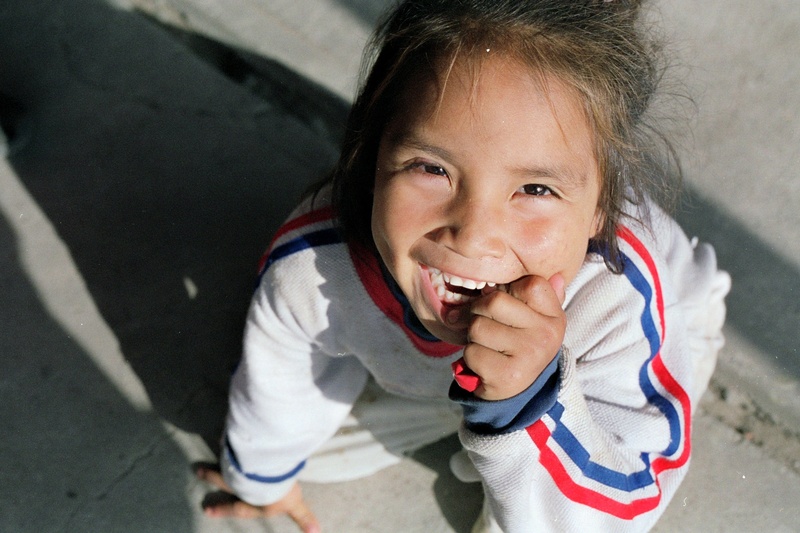 Through improved education, opportunities are created to reduce poverty. However SKIP also believes in a holistic approach and work towards ensuring children are healthy and supported by loving, economically stable families in safe home environments. SKIP and TWOWEEKS have established a partnership and we are now working together to provide healthcare to the children and families that so desperately need it in El Povenir. So on the 28th of May, 2011 our small team comprising of Samina Shah, Aisha S’Bsuleja and myself, Karen Patten, headed out from London bound for Peru. We landed at a very small Trujillo airport at about 11pm and after collecting our luggage, we went through the exit to see a one-legged cab driver holding up a sign saying “KEREN T2RO WERKS”. SKIP had arranged for a cab to pick us up, which was much appreciated as one has to be careful when travelling in South America and landing close to midnight was not something we would have chosen ordinarily. However, our driver was nice enough and despite our not speaking Spanish and his not speaking English we started off happily enough to our new home in a place called Huanchaco, which is a town located by the sea and near to where Liz, the director of SKIP lives. The next morning Liz met us at Hotel Plazza’s and after a brief chat we were now heading towards the SKIP volunteer house in Trujillo, the city where the project was mainly located on its outer desert borders. Trujillo is very different to Huanchaco. People and cars are all active and creating the hustle and bustle of city life. The drive to the volunteer house was something else and all I can say is they drive like crazy things in Peru. Many a gasp and prayer was said on my journeys to and from SKIP but the funny thing is that they all seem to know what they are doing – truly organised chaos. Our first day with SKIP began with our attendance at one of their information and training sessions for their new recruits. SKIP are very serious about what they do and Liz has a background in social work and provides training about SKIP, child protection and other related subjects regarding the care of their children. This was a very informative session and although the latter half was in Spanish, we were all quite amazed at how much we understood if we concentrated hard enough. SKIP is essentially divided into primary education, secondary education, economic developement, psychology, and social work. There are team leaders and co-ordinators and volunteers work in teams to manage their particular area. Most of the volunteers live in the SKIP house (21 at the time we visited), although a few of those employed by SKIP who are long-term, live in Huanchaco or other parts of Trujillo. The training session finished conveniently at lunch time and we went for a meal with the ‘SKIP family’ at a local Peruvian eatery – a handsome sum of 6 soles per head for a two-course meal and a drink – which equates to about £1.50 and yes, the food was delicious. Our next task was to meet with Liz and discuss plans for the clinic, as well as find out what has already been done and set out objectives and plans for our time with SKIP to achieve our aims. This meeting was a good one and we returned to our hostel happy and positive about our day. The next morning we headed off to meet Liz and travel to the SKIP office in El Povenir, a deprived area on the outskirts of Trujillo that is essentially located in the desert. As we travelled in the taxi, we noticed a change in the surroundings. There were fewer shops and the streets were dirtier with an increasing presence of the yellow sand that seemed to cover everything the further we travelled into El Povenir. The houses also became more basic, made out of simple concrete bricks and adobe mud, some had no windows and others no roofs. Children played amongst the dirt, but on the whole they themselves were clean. We turned onto a road where to the left there was a lovely well-kept cemetery with flowers and green grass. But directly opposite was a sign saying “Graveyard of the poor” in Spanish. This was for the poor people who could not afford to bury their dead. Wooden crosses marked raised mounds of dirt with hardly any flowers or tributes. It was a telling and stark reminder of those who have and those who do not and essentially was the gateway to the poorest part of town. The road began to dwindle and just as we arrived at SKIP office, it stopped and became sand and dirt. We had arrived. As we got out of the taxi we were met by women and children with beautiful smiles and warm eyes. A blue door signalled our entry point and we stepped through it to see a small courtyard with buildings to our left and right and wooden huts in front of us. These were all classrooms and as Liz showed us around we saw the volunteers teaching classrooms of wriggling bodies with smiles attached. The children seemed engaged and happy and apart from us distracting them, they were enjoying the lessons taught. A playground was present to the rear of the site and it was there that children learned the importance of exercise and staying fit; they giggled away as they did star jumps and stretching exercises. We were shown where the planned clinic may go and also the equipment and supplies they have to date. We also learnt about the different things that the volunteers and staff at SKIP see – ranging from simple ailments like head lice, to more serious illnesses such as TB and AIDS. Issues with malnutrition, respiratory diseases due to the equipment used to cook & heat homes were also quite prevalent. We were told about the known but unspoken issues of neglect, abuse and domestic violence being very common in this community due to issues of alcohol and drug abuse. It was all incredibly interesting and acted as a good starting point. There are a lot of needs and much to be done – it was now time to build us a clinic. So our next few days were spent researching and planning. Samina and I would review the medical and health side of things and we met with doctors, went to private and public health clinics to gain information and establish links for the future. We also assessed the SKIP project site in more detail and started to review what would be needed physically to provide a comprehensive, effective and sustainable clinic/health service that could tap into local resources for our families here at SKIP. Aisha’s job was to review the non medical aspects of volunteering, as our purpose as a charity is not only to provide and encourage volunteers from a medical background, but to enable people with a variety and multitude of skills to assist in places such as SKIP. Aisha primarily looked into the sub-programmes of education, psychology and economic development, collating lists of potential assistance that a TWOWEEKS volunteer could provide. It was concluded that there is the scope for non-medical assistance to be useful on a two-week basis. There may be some obstacles to face, such as the language barrier, but with good preparation and planning we can send volunteers to work with SKIP and make our three areas of activities achievable – i.e. assessment and planning, hands on volunteering, assistance, development and sustainability. Our time with SKIP seemed to fly by and before we knew it we were saying our goodbyes to the staff and volunteers at the office. We also had to say our farewells to the children and mothers who we had come to know during our brief stay and after a flurry of photos, prolonged hugs and promises to keep in touch, we got in a taxi and headed back to Huanchaco to finish packing. That evening we individually walked around Huanchaco and along the shoreline and then reunited at a newly-opened coffee house to watch the sunset. We had experienced so much and learnt even more during our brief stay, but we all felt confident that there was a lot that could and should be done for the people of El Povenir and there was an air of excitement as we fine-tuned strategies and plans for the future. During our time at SKIP we had not been introduced to all of the volunteers and staff there and so our team ended up talking to a lot of people on a one-to-one basis. This was a good thing as it enabled us to have a number of open and frank discussions with people who are involved with long term volunteering. As is often the case, one of the first things they would say is, ‘But what can you do in two weeks? I have been here for ‘X’ months and I am still getting to grips with this and that’. It was these discussions that allowed us to explain that our remit and indeed actions are part of a process. In fact the very volunteers we were talking to were also part of this process as they would now act as a point of contact for our volunteers to enable their preparation before coming to SKIP and also guide them on arrival. We explained that whilst we would not be in Peru for months on end, we would be working on our return to the UK and on future trips to provide and establish a fully-functioning clinic and the scope for other volunteers and professionals to follow was already very evident. For instance, HIV & AIDS is now escalating in this community. TWOWEEKS has already assisted with rolling out an HIV testing program in South Africa and can provide workshops to help educate the local community in El Povenir. One of the local clinics expressed a need and was very keen for us to help with this and future volunteers could easily start this process, with a view to it continuing by the actions of local volunteers and trained staff. Providing a physical clinic for the SKIP children and their families in itself will be a task and people with skills in the building and plumbing trade would be extremely helpful in advising us on this. By the end of our time with the long term volunteers we found that they agreed with our vision and they themselves were giving examples of how TWOWEEKS volunteers could help. I will never shy away from the fact that what we aim to do is not easy, but it is achievable and we have seen amazing and good things happen as a result. One of our previous volunteers asked herself whether she had made a difference in two weeks after a trip to Lily of the Valley in South Africa and she concluded that perhaps she had not changed the world dramatically but like ‘small drops make up an ocean’ she had been a part of something that would continue on to affect change. And that is exactly what we all are and represent. Individually I agree for the majority of us it is hard to make a huge change, but collectively – what an incredible force we can become. So, it seems our work in Peru has truly started and is a really exciting new chapter for TWOWEEKS. We will be planning further trips to Peru to continue with the build of the clinic, rolling out of services and assisting with the education of the local community. We are very pleased and excited to be working with our new partners at SKIP and have been impressed by their drive and compassion to educate and care for the children and families of El Povenir. We now look to unite our vision, skills, and knowledgeto continue to make a difference….two weeks at a time. 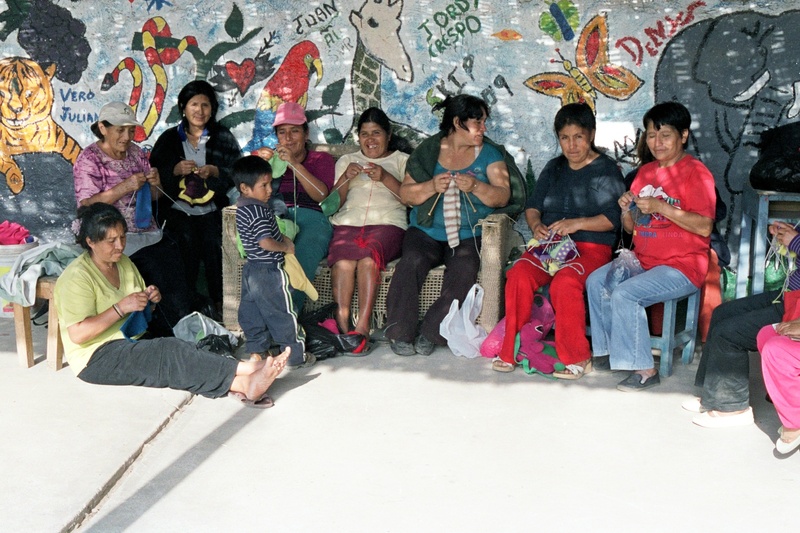 You are currently reading Trip Update to SKIP in Peru in May-June 2011 at TWOWEEKS.